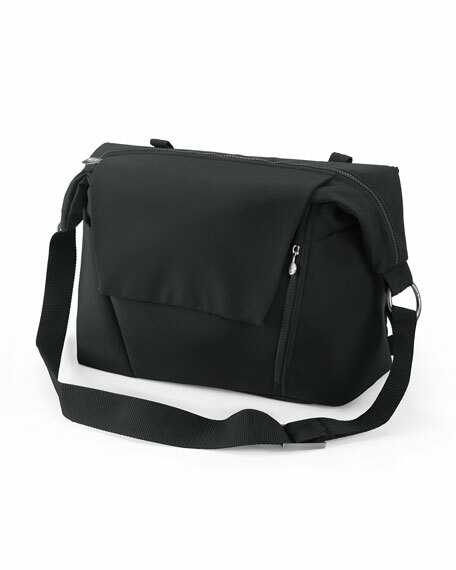 The newly designed Stokke changing bag offers an ingenious twist! 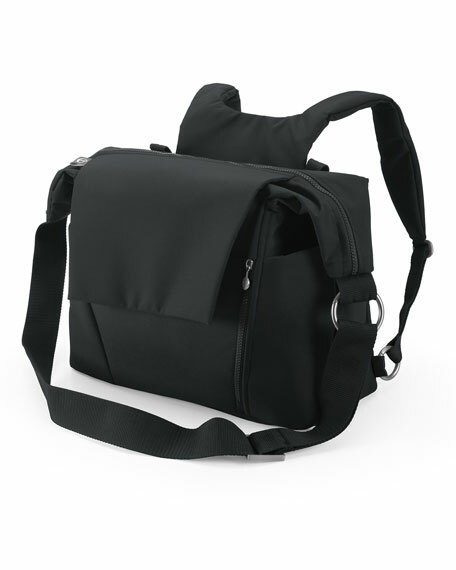 Bag can be attached to stroller or used as a shoulder bag or backpack. Easily adjusted with removable rings. Easy access to all your baby essentials. 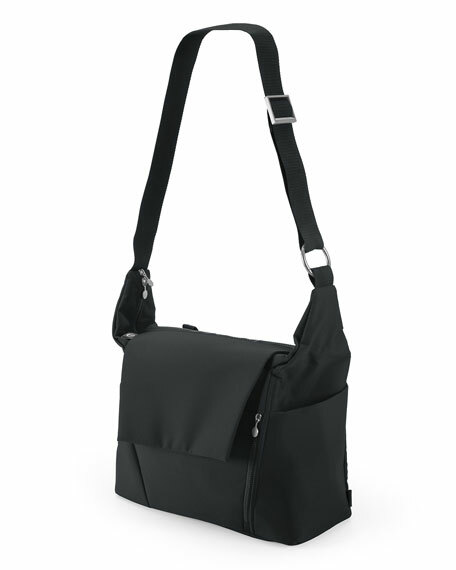 Various sized pockets including a waterproof side pocket for added conveniences. Includes removable changing purse and foldable changing mat. Always focusing on the best interest of the child, Norwegian company Stokke® provides unique, functional, and long-lasting baby products. Stokke strollers, adaptors, and carry cots are specifically designed to provide support and promote well-being for both child and parent. The Stokke line of strollers and accessories stays in line with their key vision by promoting bonding between child and parent. The Stokke connection strollers are attractively designed and highly functional while making the journey more enjoyable, close, and interactive.